Want to diversify your workforce? Help is here! The movement for diversified workplaces is growing and month-by-month, increasing numbers of people with a wide range of diverse abilities are securing meaningful, competitive and sustainable employment. Numerous studies from around the world have revealed that diverse workplaces have lower turnover rates, greater productivity, increased customer loyalty and higher staff morale. We want to tell you a little about how we can help you diversify your staff team. The first way we can help is by providing you with a pool of pre-screened and qualified candidates. We know that a good fit is essential to success and therefore we spend considerable time identifying the interests, skills and abilities of the individuals we work with. Our Employment Specialists help the candidates to showcase their strengths, assisting in resume creation and maybe by suggesting a working interview rather than a traditional interview. This allows a candidate to spend a few hours showing you their strengths, again making sure that we achieve that good fit which is so essential to both employer and employee. Once a job is secured, our Employment Specialists, at no cost to the employer, ‘Job Coach’ each individual as they settle into their new position. As everyone is different, some people need job coaching for just one shift, others maybe need a few shifts. We stay until each individual has mastered their job and everyone feels comfortable. Broadly speaking Job Coaching is about providing on-site training and assisting with the development of a support system at work for the new employee. Our Employment Specialists begin by undertaking a Task Analysis, to break down into steps the various components of the role, maybe assigning time slots for each component, or maybe creating a checklist for an individual to follow while they learn the ropes. An Employment Specialist may assist an individual to complete online training or find an online video to help a person master a task, for example how to use an industrial dishwasher or safely move a heavy item. Our Employment Specialists strive to identify speed bumps in learning and then assist a person to be successful in getting past those obstacles. We all know how much information needs to be processed during the first few weeks in a new job; an Employment Specialist simply helps an individual to effectively do this. Our experience suggests that when an individual receives this initial support, they not only master the job but bloom into a motivated, loyal and hard-working employee. 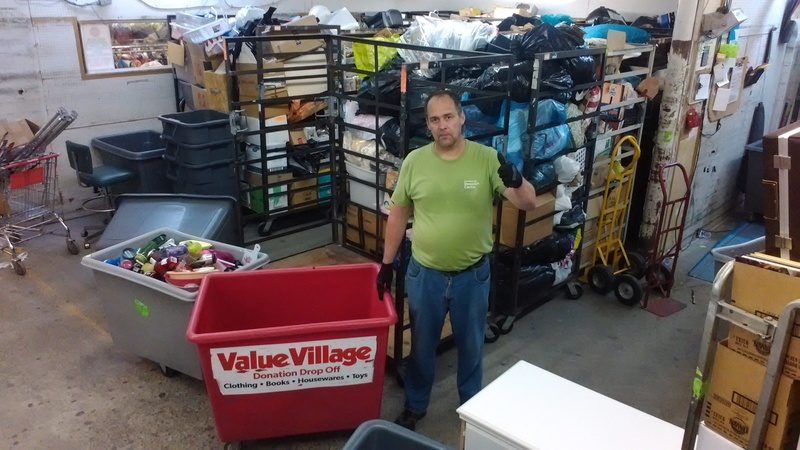 Like Paul, who works two days a week as a Warehouse Associate at the Burquitlam Value Village where he unloads delivery trucks and moves product onto the sales floor. His Employment Specialist helped him during his first few shifts with online training and brushing up his customer service skills. At another Value Village the same Employment Specialist helped a young lady by creating a color coding chart she could use to help identify the most recent additions to add to the sales floor. Sometimes color coding or pictorial tools help all the staff to improve their efficiency. 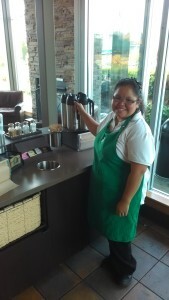 Victoria’s Employment Specialist set up a working interview at the Market Crossing Starbucks. Victoria showcased her skills and now works two days a week as a Café Attendant. Again the only support she needed was with online training and learning how to measure out the correct quantities at the refilling station. Andy’s story reveals that the support doesn’t stop when Job Coaching fades out. For up to thee years we do regular telephone or email check-ins just to check everything is running smoothly. 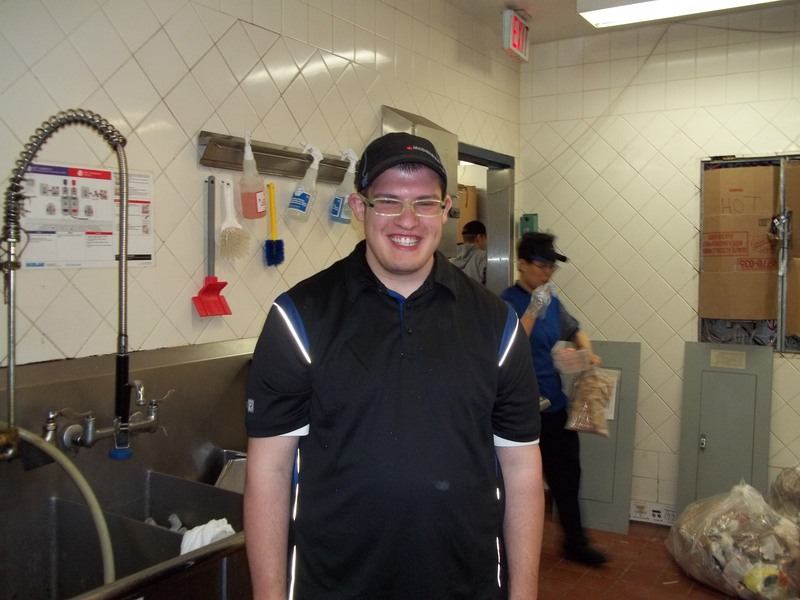 After three years as a Grill Cook at the Barnet Highway McDonalds, Andy says he received training, a promotion, several salary increases and he’s still “lovin’ it”. There are many people like Paul, Victoria and Andy in the Tri-Cities area who would love to secure meaningful and competitive employment. We invite you to contact any of us so that we can help you find the perfect fit for your company. If you would like to know more about inclusive hiring or register for the up-and-coming posAbilities free ‘Diverse Ability in the Workplace’ training, please email employment@posAbilities.ca or call 604 291 1902. Prev:It’s Possible, Everyone Can Work!